A day of teaching for children (3 to 16) at Lincluden Primary School, Dumfries with Mischa Macpherson and many more wonderful tutors. Fèis an Iar-Dheas (Festival of the West and South) is the most southerly Fèis in Scotland! 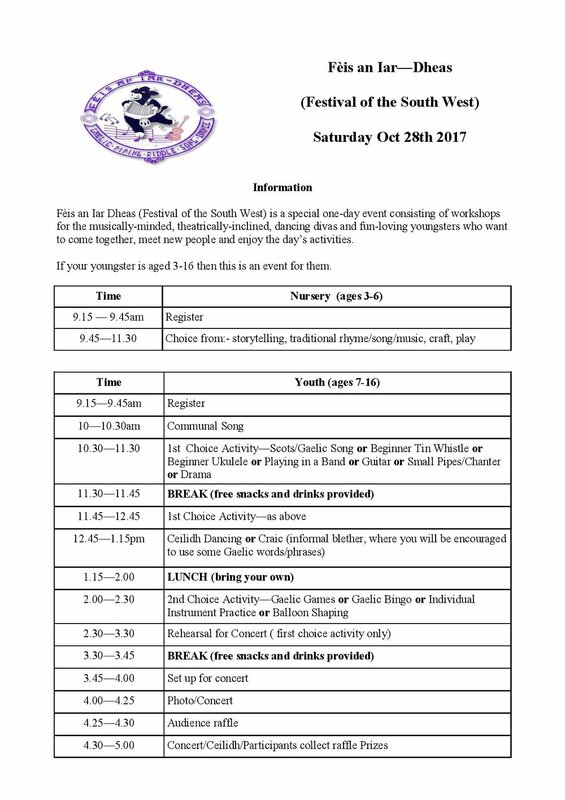 Come and try ukulele or tin whistle (instruments provided), playing in a band, Gaelic and Scots singing, guitar, drama, pipes and chanter. I will be sharing a wee concert with the lovely Gaelic singer (and ex student) Mischa Macpherson. 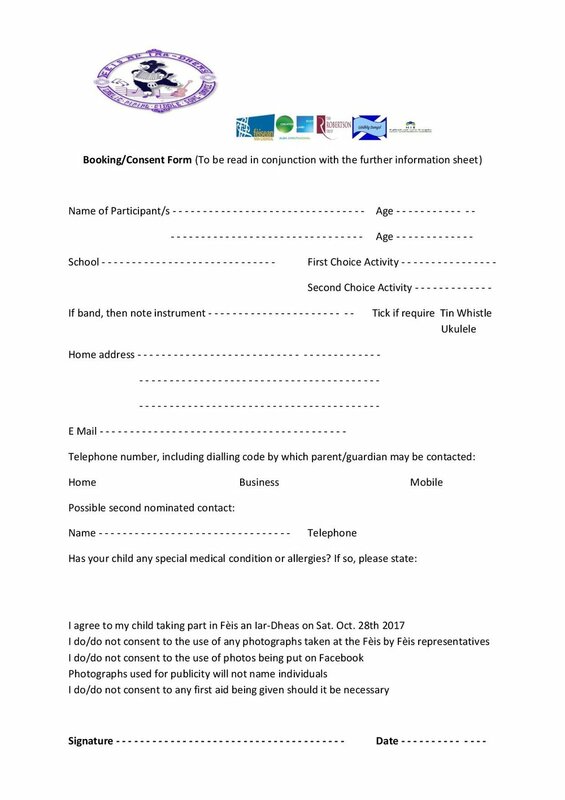 I`ll be teaching at a day course for aspiring and continuing harp teachers at the Nuffield Health Centre in Milngavie. Pre booking essential from the Clarsach Society. To finish off a somewhat busy spell – 4 days of making harps and other instruments under expert guidance of Christoph and Eva from Bavaria. 4 days of teaching, sessioning and eating too much! Northern Harps are running a four day clarsach course at Brancepth Castle, Durham, led by Wendy Stewart with Louise Bradley on the 7th-10th August 2017 (Monday to Thursday). This is the tenth year we have run this course, and the fourth year that we have had the course at Brancepeth Castle. Concert at Crichton Church as part of Dumfries and Galloway Arts Festival. Cairn Chorus will perform their song cycle (including ‘May the road rise up to meet you’ from Folds in the Field CD ) again but this time with backing from the Scottish Ensemble in the amazing mini cathedral setting at the Crichton. I will be performing a new piece I`ve written as part of Glencairn`s Creative Place project. Its for handbells (The Bells of St Ninian`s!) , saxophone, percussion and lots of harps! Called ‘Ae Spark o Nature`s Fire’ it reflects a day in the creative life of this glen and its folk , from dawn chorus to star studded dark sky with a healthy dose of community discussion/argument and a lyrical waltz to bring everyone together! I`ll also being playing in, local bass player, Stuart Macpherson`s composition which he has written for our newly formed quartet that includes Gavin Marwick on fiddle and Ruth Morris on nyckelharp. I will be playing along with members of the Dumfries and Galloway Branch of the Clarsach Society. Harpa are a group of fantastic players from the USA who will be over here touring round the sights and playing at various venues. There will be a harp heavy session at the Craigdarroch Hotel in Moniaive on the Monday evening too!